Ima Engineering On-Line Mine concept includes applications in exploration, in mine production and in ore processing. IMA sensors provide data from all these stages wireless into mine planning computers either in the Cloud or into a central location where Geo-metallurgical data is combined. In many cases complex mineralogical ore types should be treated either separately or with desired mix. Consistent mining aims in reducing dilution and ore losses, and avoiding harmful minerals or elements entering next the processing stages. In the mine, Health and Safety issues are becoming more important than ever, while environmental footprint has to get smaller and smaller in the future. IMA is actively participating in international research work (such as in Horizon 2020) with partner mines, universities and institutions targeting now and in the future to all above listed important objectives. IMA has several sensor and robotics based solutions and applications are available already today! Learn more below. IMA is the forerunner in automatic drill core scanning technology. The first prototype mobile scanner started 7 years ago in Nordic region as service by IMA partner company (Scanmobile by MOLS). The technologies have evolved and includes today several integrated analytical methods. Fast scanning technology reduces exploration time and total investment. In brownfield exploration IMA sensor (PDSA Sampler-Analyzer) is a robot, which produces elemental analysis on the R/C drill rig or on production drill with representative samples and MWD data at drilling speed. More data, faster and cost effectively. IMA also offers R/C hole image and physical data integrated into Hyperdata as service with IMA partner (Astrock). IMA Sampler-Analyzer Sensor and Robot provides early data from production drilling (AWD and MWD). This data is available before blasting in real-time. Many mining companies are looking for Solutions for pre-concentrating the ore minerals. Here IMA offeres Bulk Ore Sorting System - the BOSS concep. The BOSS Concept includes a IMA FCA sensor on mobile sorting conveyor with Flop Gate to separate waste rock from the ore. A fixed system can be integrated on any existing plant. 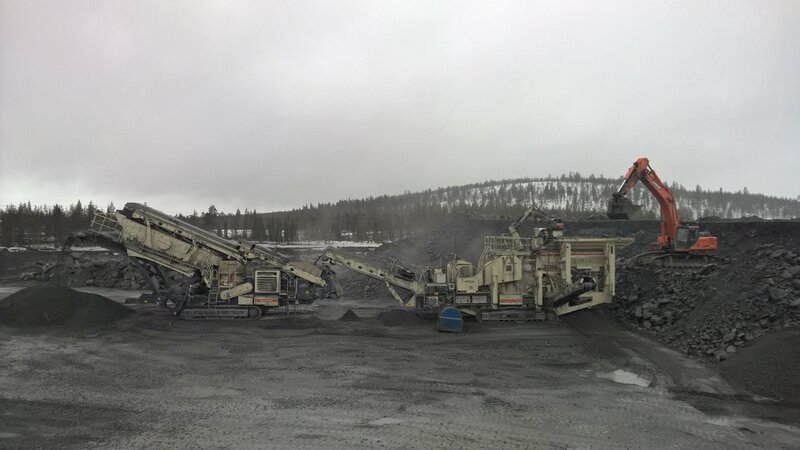 A complete mobile delivery includes a mobile primary crusher (such as Metso Lokotrack) with mobile conveyor feeding the Mobile BOSS unit. Applying he BOSS concept starts from preliminary sorting study in the IMA BOSS lab followed by near or full size on-site pilot. Sorter dimensioning is done step-wise in economic way from laboratory size tests to next level pilots. Blasted ore grade is not always as estimated, but no worries, IMA can offer a solution – the Fast Conveyor Analyzer Sensor gives immediate on-line Grade at the crusher. FCA is fast and accurate to analyze the ore Grade by dumper load right after the primary crusher on minute-to-minute basis. Ore Grade to the mill can be kept consistent even with complicated ore bodies. FCA system send the analysis to mine computer or into the Cloud, where loaders can see the data as short time trend (truck by truck). Loading at ore waste contact is monitored, and when the Grade goes too often below cutoff, loading to the crusher will be stopped. Ore losses and waste rock dilution is reduced. Benefit calculations have shown payback time in a month or two. Easy, fast and cost efficient.